Ah, Spring is officially here! The birds are singing, the flowers are blooming, and I am wheezing! No really, Spring is my worst season of the year in terms of allergies and asthma. Hold your inhalers in the air if you feel me on this one. Pre-kids I enjoyed Winter because I didn’t mind being alone and inside all of the time. Post-kids I am itching for Spring to be here so we can get the hell outside before we start ripping each others hair out. So, today I just want to share some pretty pictures and things about what makes me happy about Spring. 1. Glosses. 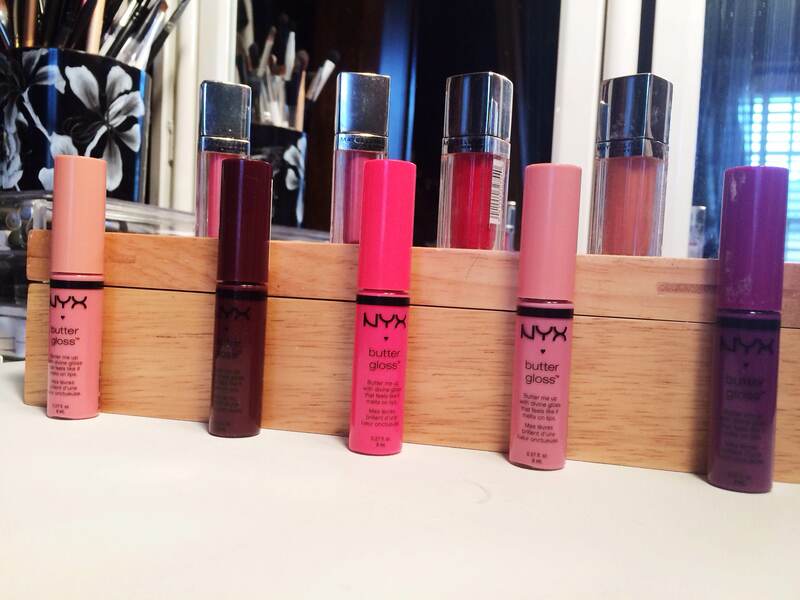 I don’t know what it is about Spring and Summer, but I am all about glosses during these seasons. Anyone else like that? I think it’s because I am out and about a lot and lip gloss is just easier, yet it has the power to pull a look together. I don’t have to sit and line my lips and conceal for 5 minutes like I do with most lipsticks. I plan on giving my butter and elixir glosses some love this Spring. I’m trying to use what I have and buy less. Key word: trying. 2. Bright Cheeks! 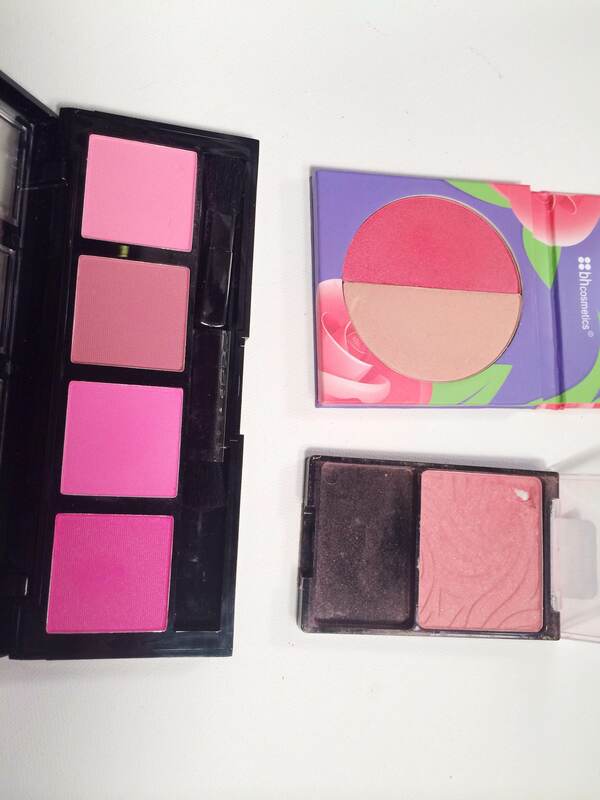 Honestly, I rock a bright cheek all year around, but Spring is when I actually love to play with pinks and corals. Some of my favorites are the City Color Cosmetics blush quad, the Rose duo from BH Cosmetics, and Pearlescent Pink by Wet n Wild. Are you all seeing my obsession with roses and all things rose related yet? 3. Dewy Skin. 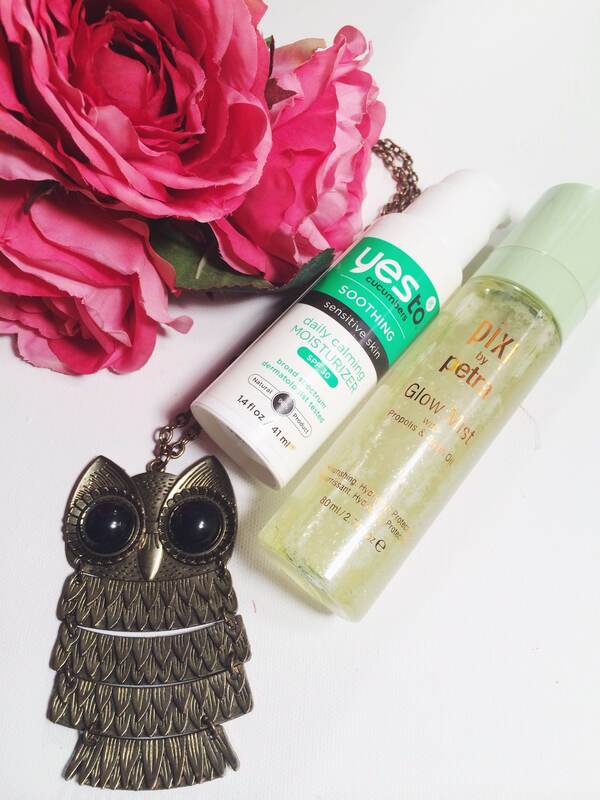 My skin is less dry in Spring so I can actually make my skin look a little dewy and glowy! It excites me, don’t judge me. I love the Bourjois Healthy Mix Serum and the Loreal Magic Lumi I am trying to use up because I actually like the Bourjois one more. 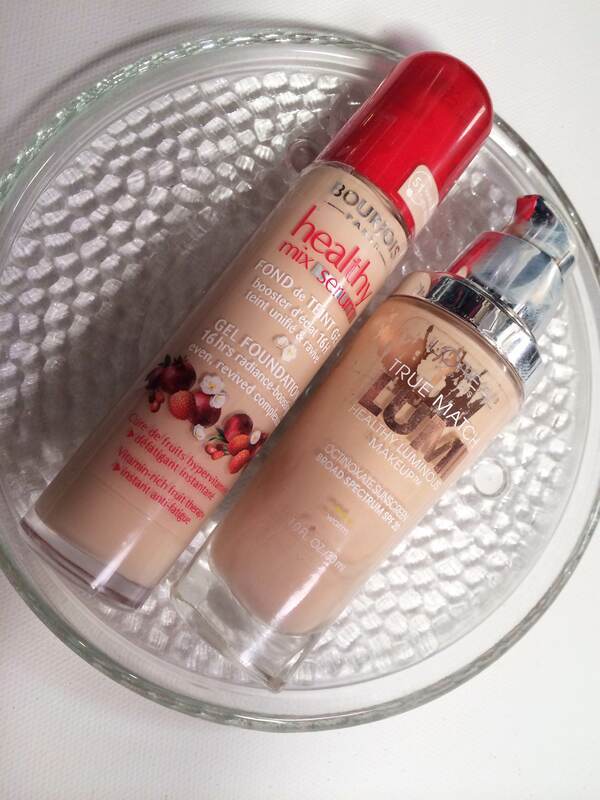 The Bourjois healthy mix serum gives me of a satin matte finish, and it smells so much better. 4. More skin fun. It’s apparent at this point that I am the shade of paper. I used to try to tan and such, but as of 5 years ago I decided to stop it all together and be okay with my skin color. I do sun protect even on cloudy, rainy days in the Spring and Summer. I love this Yes To lotion because it’s thick and doesn’t break me out, and it has spf 30. I’ve also been loving the Pixi glow mist underneath and on top of my makeup. It gives a very healthy glow and feels nice on my skin. My only beef is the sprayer moves a lot and I’m clumsy and miss my face sometimes, thus wasting product. 5. Bright(ish) nails! Raspberries and neutrals and sometimes lavender is about as adventurous as I get with my nails. You’re judging me, aren’t you? I like my box. My box is safe. My box is gray and cold. 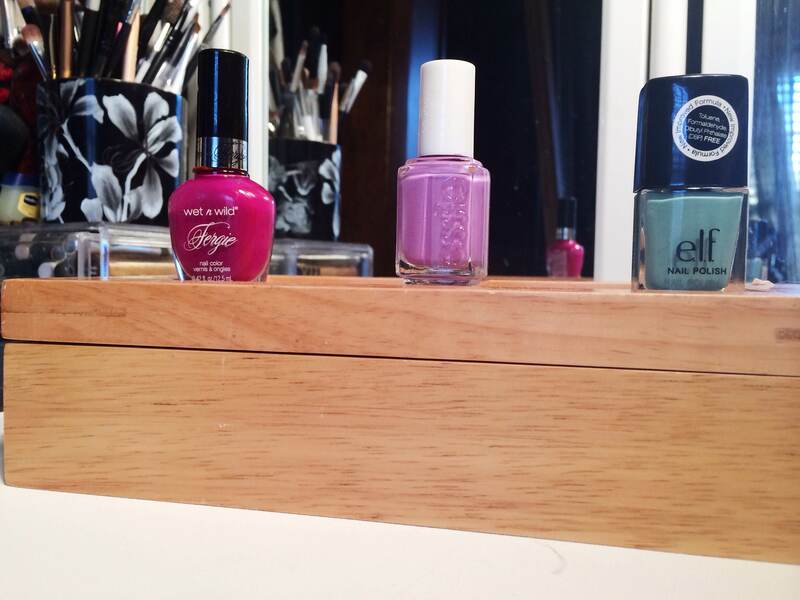 Some of my favorite nail polish brands include elf, essie, and wet n wild. 6. Spring Cleaning and rediscoveries! I really need to go through my palettes and rotate them out and dust a few off and show them some love. I have been trying out so many new products that I have kind of pushed aside some other goodies that I truly do love, namely my Naked palette. I used to use that precious palette everyday. Everyday. 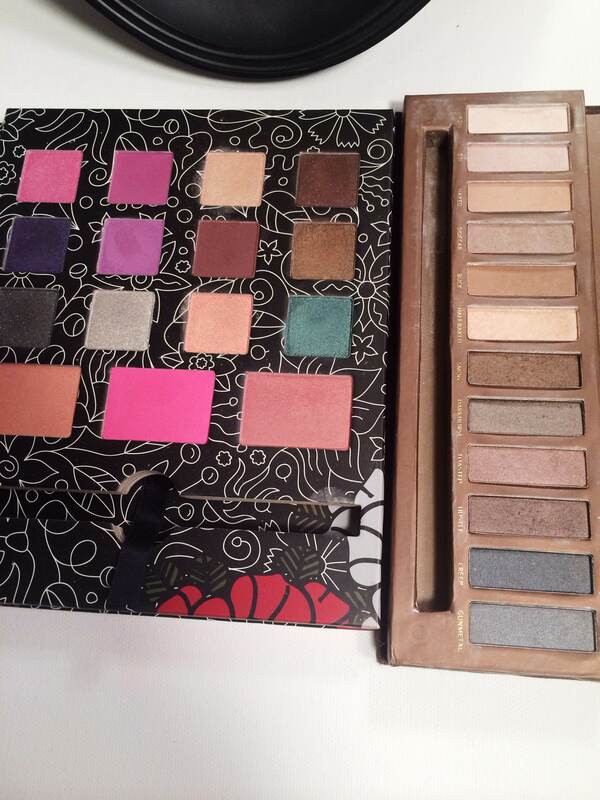 Now, with every other neutral palette in existence I haven’t shown the original heartbreaker any of my attention. I need to also give my Dark Rose palette some attention because I truly do love it, and I think it may become a staple for me for Spring looks for that “pop of color.” The colors in this palette work together in weird and mysterious ways. I need to unlock it’s magic. Anyway those are some things that make me happy about Spring, beauty wise. Life wise I can’t wait to get out and take both my daughters to parks and hear their giggles. I also need to do a huge de-clutter in my life and around my house and just get rid of things. What are some things that make you happy about Spring, if anything? As always, thanks for stopping by and reading and I hope you are all having lovely days! Please sign up for email notifications or follow me on here to see more from me if you like me! Bahaha @ rotate my children out, too funny 🙂 I’m pretty excited for Spring and don’t know how you survived as a stay at home mom in the winter! I’d lose it.